Congratulations! You win 12 bonus points with this purchase! First aid for sore eyes! 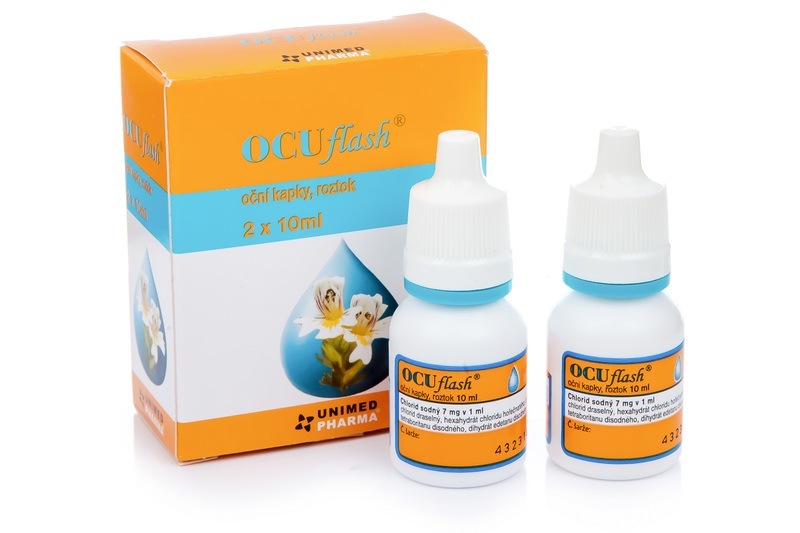 OCUflash is anti-inflammatory, antiseptic and astringent. It soothes the eyes and prevents, and supports treatment of, non-infectious inflammation of the eyelids and conjunctiva. It’s also ideal for flushing foreign bodies away from the eye. Здраствуйте. Меня итиресует такой вопрос. Замедляет ли этот препарат,развивающуюся катаракту? This is a very good product for inflamations and to soothe the eyes when they've been slightly scratched, but it won't stop the advancement of cataract. Please consult your eye doctor for such important problems. Hi, I have Fuchs corneal dystrophy. Can I use this eye drop? Thank you for contacting us. If you are experiencing this problem, we recommend you to ask a specialist or your doctor first. May I use ocuflash to take of my lens...as any other eye drops for dry eyes? Unfortunately, these eye drops cannot be used with applied lenses in your eyes. Hello, This can only be used for a baby if prescribed by a doctor. Thank you! Can these be used whilst wearing contact lenses? Can these be used with contact lenses in? This product is brilliant! My eyes were so bad, this made a huge difference! Was recommended by Doctor in Latvia, as in UK unfortunately Homeopathic medicine is not in use among regular Doctors. Blepharitis or minor eye infection this is very good one. And very important Preservative free! I am used for my child.